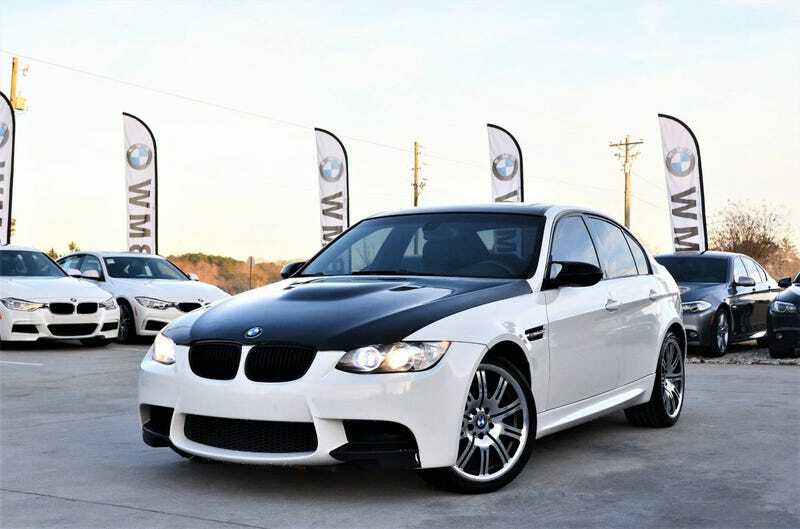 Today, in unnecessary car shopping with E90M3, we find an E90 M3. Ignore the horrendous hood and the fact that this example has done 110k miles more than my car and look at the positives.First positive? It’s a stick. Additionally, despite having 156k miles, the interior seems to be in excellent condition. It’s also cheap. At $15k you can get yourself into the last naturally aspirated M car. Just do yourself a favor, if you do buy it, and replace the ebay badge on the back. So, anyone want got 15k lying around and have an E90 M3 sized hole in their garage?